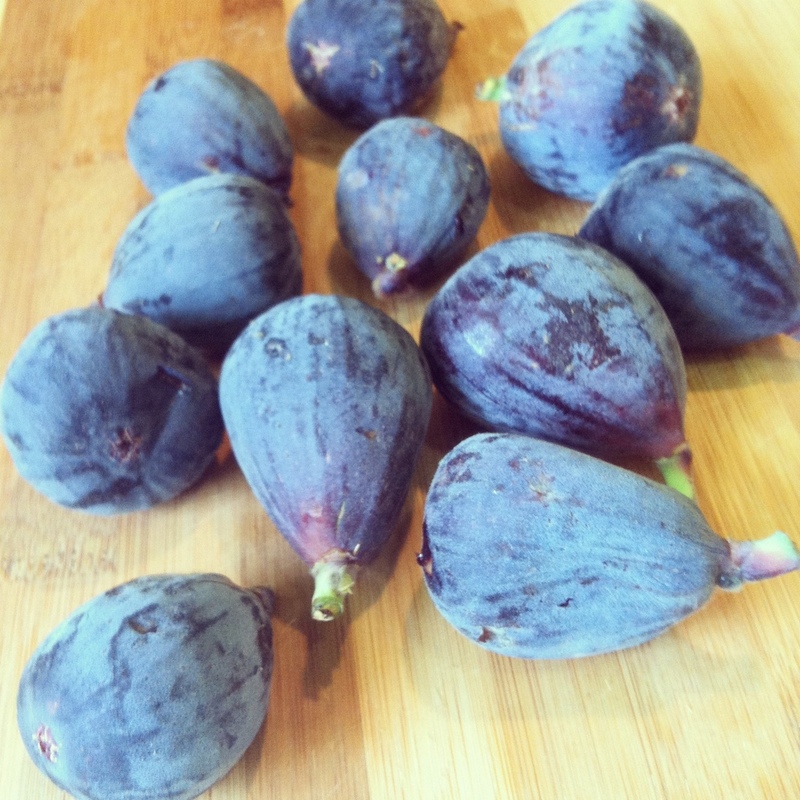 Figs are one of the few fruits that I did not grow up eating. I remember as a kid not liking anything that was fig flavored. Even now as an adult, it’s not one of the fruits I buy. In fact I don’t have any recollection of ever eating one. 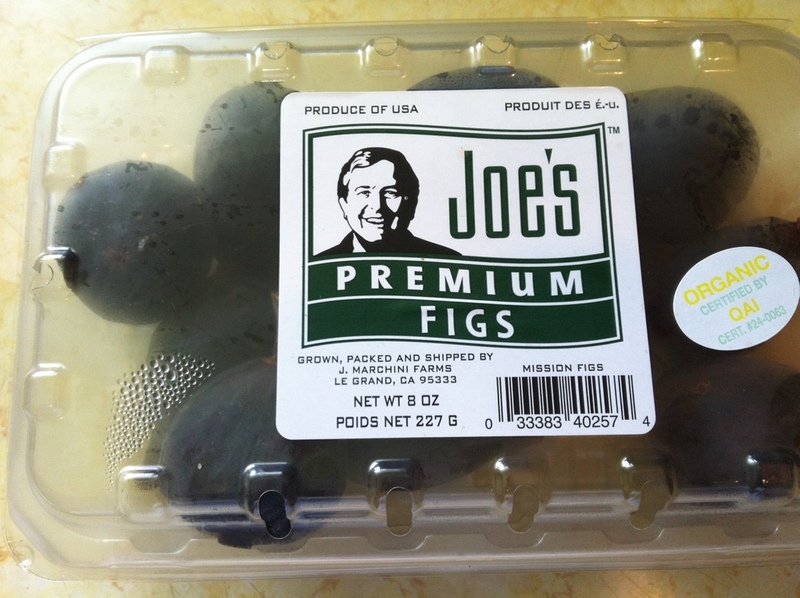 On Monday a box of figs was included in the share and my immediate thought was “and now what?! ?” After a quick search on the web I decided to use my figs in this way… I made a delicious jam to go with any meat of your preference. In this case I made a simple turkey loaf with no sauce and topped it off with this delicious jam! 1 tsp of freshly chopped rosemary. I used dried rosemary. Begin by combining all ingredients for jam in a sauce pan over high heat, let come to a boil, and then reduce to a simmer. 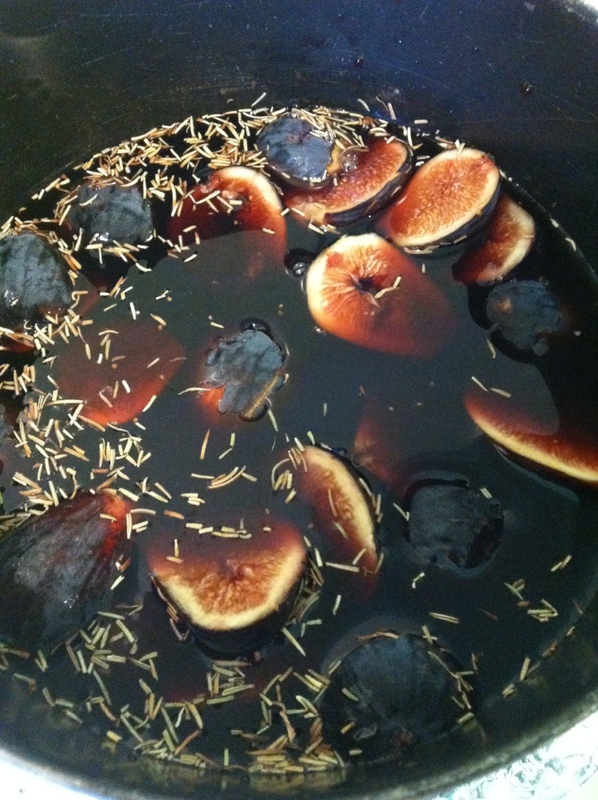 Simmer for 35-40 minutes or until figs have softened and can easily be crushed with a fork. 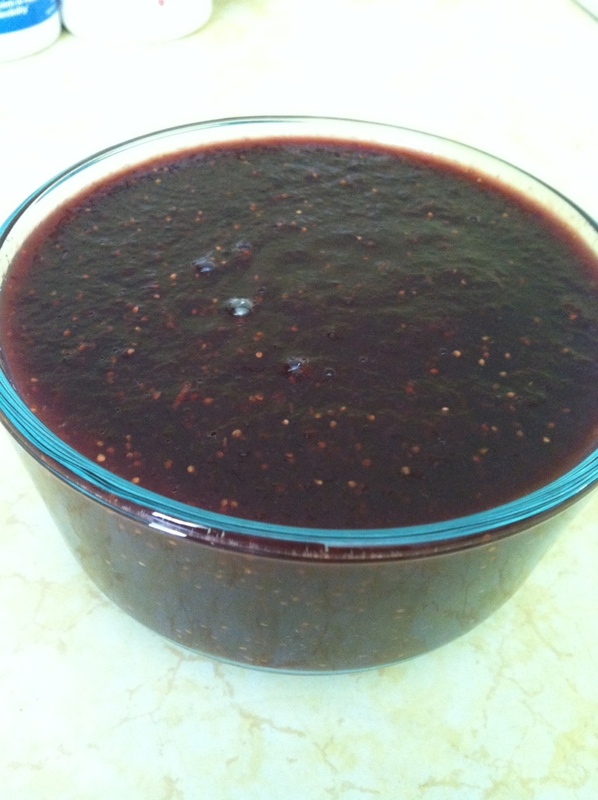 Purée in a food processor for a smoother texture, let jam refrigerate for at least 30 minutes.